Charles Walcutt was ordered to make a demonstration, with the six infantry regiments and one battery that comprised his brigade, toward Macon to ascertain the disposition of enemy troops in that direction. He set out on the morning of November 22, and after a short march he ran into some of Maj. Gen. Joseph Wheeler’s cavalry and drove them beyond Griswoldville. Having accomplished his mission, Walcutt retired to a position at Duncan’s Farm and fortified it with logs and rails to meet an expected Rebel attack force composed of three brigades of Georgia State Militia. The Georgia Militia had been ordered from Macon to Augusta, thinking the latter was Sherman’s next objective, and accidentally collided with Walcutt’s force. The Union force withstood three determined charges before receiving reinforcements of one regiment of infantry and two regiments of cavalry. The Rebels did not attack again and soon retired. The Battle of Griswoldville was the first battle of Sherman's March to the Sea, fought November 22, 1864, during the American Civil War. A Union Army brigade under Brig. Gen. Charles C. Walcutt defeated the small Confederate infantry division under Brig. Gen. Pleasant J. Philips, at Griswoldville, near Macon, Georgia, and continued its march toward Savannah. 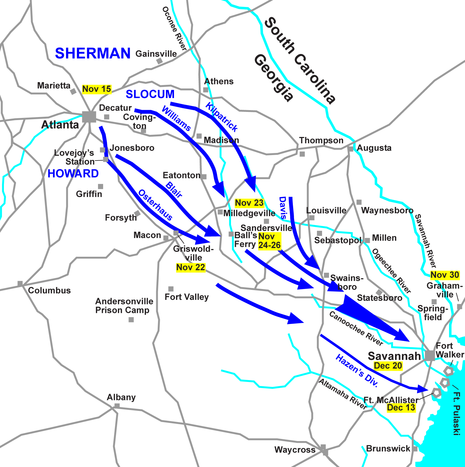 Sherman, victorious in the lengthy Atlanta Campaign, had refitted his army and recently departed from Atlanta on a march designed to reach the Atlantic Coast at Savannah. 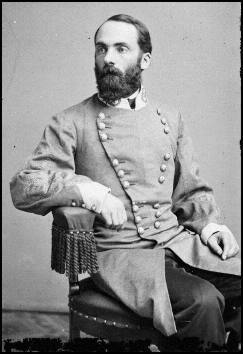 The right wing of Sherman's force was the Army of the Tennessee, commanded by Maj. Gen. Oliver O. Howard. It encountered the first resistance to its march in Griswoldville. Walcutt was ordered to make a demonstration with his brigade (2nd Brigade, 1st Division, XV Corps) of six infantry regiments and one artillery battery (Battery B, 1st Michigan), toward Macon to ascertain the disposition of enemy troops in that direction. Union cavalry under Brig. Gen. Judson Kilpatrick had struck Griswoldville on November 21, capturing a train of 13 cars loaded with military supplies, and burning the station and some factory buildings. Early on November 22, a detachment of Confederate cavalry under Maj. Gen. Joseph Wheeler attacked the 9th Pennsylvania Cavalry on the Gordon Road, killing one man, wounding two, and capturing eighteen. The 9th charged the Confederates and drove them back nearly a mile across a creek, where the enemy was found in force, posted in order of battle. The Confederates advanced and drove in the Union skirmishers, but the 9th Pennsylvania and 5th Kentucky Cavalry made a saber charge that forced the Confederates to retire to their works. At this point, Walcutt's infantry brigade and artillery battery joined the cavalry. Walcutt threw out a strong skirmish line that drove the Confederates back through Griswoldville, after which, by orders of division commander Brig. 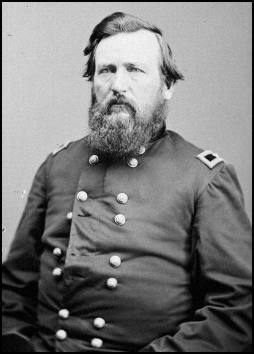 Gen. Charles R. Woods, he fell back to the Duncan farm and took up a position on the edge of the woods, with an open field in his front and his flanks protected by a swamp. Here he threw up a barricade of rails and logs and about 2 p.m. was attacked by Wheeler's cavalry corps, supported by three brigades of Georgia militia under the command of Brig. Gen. Pleasant J. Philips. A battery of artillery was also brought up. The Confederate militia advanced in three compact lines, but were met by a shower of canister. They succeeded, however, in reaching a ravine about 75 yards from Walcutt's works, where they reformed their lines and from which they made three desperate charges on the Federal position, all repulsed with heavy losses. The Confederates then tried to turn the Federal flanks, but finding these well protected by cavalry, retired to the ravine, remained there until dark, and then withdrew from the field. 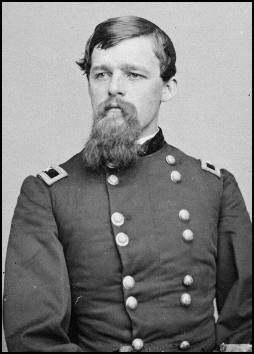 General Walcutt was wounded early in the engagement, and brigade command fell to Col. Robert F. Catterson of the 97th Indiana Infantry. The Union losses were 13 killed, 79 wounded, and 2 missing. Confederate losses are estimated at 51 dead, 472 wounded and about 600 captured. Sherman's march to the sea continued.